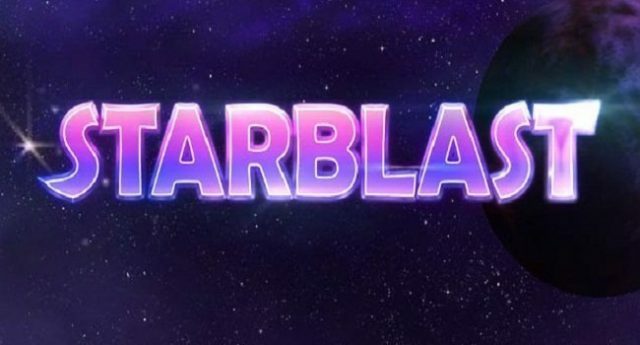 Starblast is a new online slot made by Play’n Go Gaming for which total reels are 5 and Paylines are 10. This is a classic video slot for which coin size range can be 10 to 100 per spin. You can play starblast slot machine at any desktop, mobile and tablet devices using Play’n Go casino sites listed here. The game provides a jackpot of 160 times of your total bet and has 1 bonus round as well. Visually, Starblast looks a bit like Starburst from NetEnt where 5 different coloured gemstones can be seen on the reels. The game also contains some popular symbols such as lucky 7 and a bar which is the most rewarding symbol of this game yielding 4,8 and 16 times of players stake if they land 3, 4 or 5 of these symbols across their paylines. The game also contains a wild symbol in the form of the star which appears only on middle 3 reels i.e. on reel 2, 3 and 4 and pays you 1 or 2 or 3x of your bet. The wild replaces all other symbols as well. As mentioned, the wild can only appear on middle 3 reels but it will expand to the whole reels and will make a wild reel. The wild will give you a re-spin and a chance to win a whooping 4,000 times on your total stake. This is a good slot developed by Play’n Go gaming and is an answer to NetEnt’s Starburst. Though, Starburst is a good online slot which pays you a maximum of 500 times of your bet but Starblast can get you a good and nice 4,000 times of your bet on any single spin and that makes this game a special one for players looking to win big.